Being in a stand-alone HR role, part of a small HR team or in a stand-alone support role with HR responsibilities has its challenges, we know as we’ve been there. It can often feel overwhelming and it can sometimes be a lonely place. You’re juggling lots of things and may be uncertain whether you’re doing things in the most effective way. My HR Club is a confidential, helpful, fun community of people who are championing HR in their roles. You may be a General Manager, Office Manager, PA, line manager or have a HR role from junior to fully qualified stand-alone HR professional and need the comfort of like-minded people and resources that are cost effective and cutting edge. 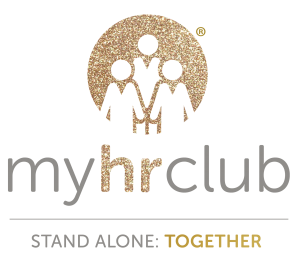 My HR Club will provide you with the necessary support, knowledge and confidence to allow you to tackle your HR responsibilities effectively and efficiently. We’ll do this through a mixture of online meetings, face-to-face get togethers, one-to-one coaching, an annual Summer Wellbeing Retreat and via our online exclusive LinkedIn community. Who is My HR Club for? My HR Club is ideal if have an interest in HR or have part or full responsibility for HR or people in your organisation. My HR Club will also suit those of you taking or thinking about taking their first professional step into HR via professional qualifications as HR coaching is available too. Start Up’s, Managing Directors, Office Manager, Exec PA, Finance, HR Assistant, Stand-alone qualified HR Managers and really anyone who has part or all responsibility for people. View our Club Membership Features. We also offer a special membership with complementary HR Services for Not for Profit Organisations.